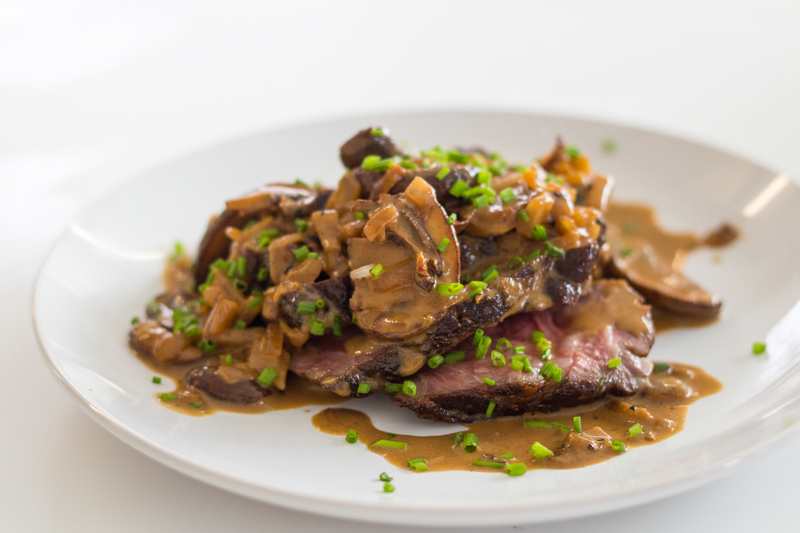 Steak Diane is rich, classic, and absolutely delicious — not to mention you get to play with fire. For this recipe, we’re using center-cut chuck eye steak, a less expensive cut sometimes called a “poor man’s ribeye.” Thanks to the Anova Sous Vide Precision Cooker, the end result is totally tender and flavorful. 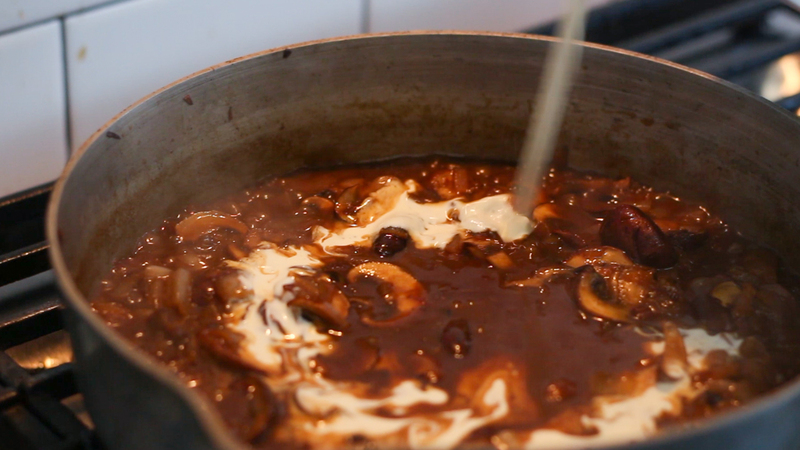 We sear the steaks golden brown in butter and then build the sauce with shallots, mushrooms, Dijon, stock, Cognac, and cream. 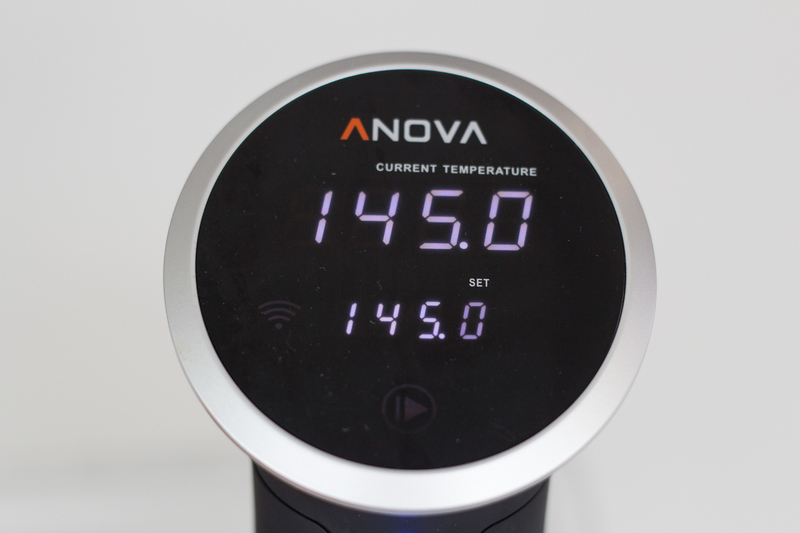 Set Anova Sous Vide Precision Cooker to 132°F (55.5°C). 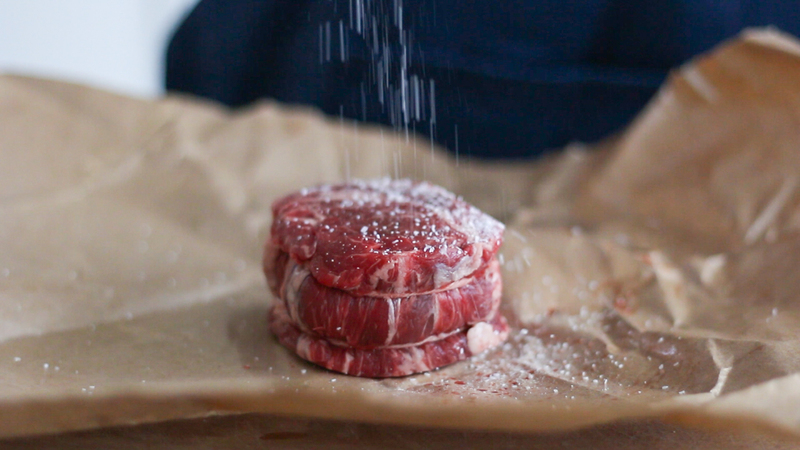 Season steaks generously with Kosher salt. 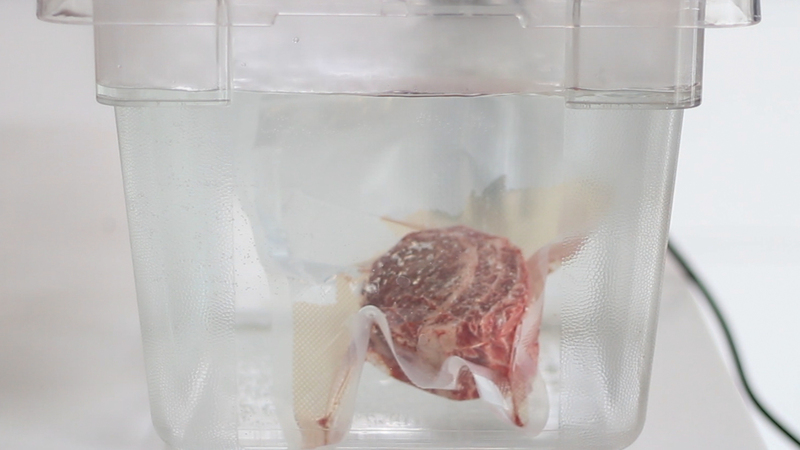 Seal steaks in a vacuum or Ziploc plastic bag and cook for six hours. Remove the steaks, reserving the cooking liquid, and pat dry. In a large cast-iron skillet, heat olive oil and two tablespoons of the butter over medium-high, until just beginning to smoke. 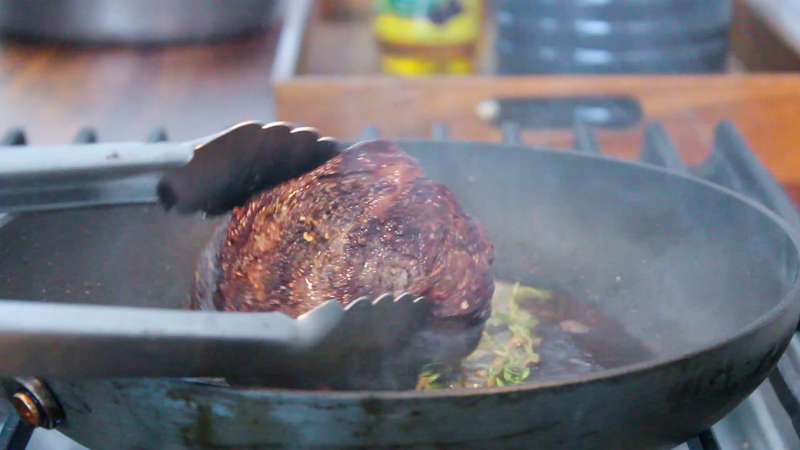 Add fresh thyme and steaks and sear on both sides until dark golden brown, basting with butter and thyme as you cook. Remove steaks from the pan and set aside. 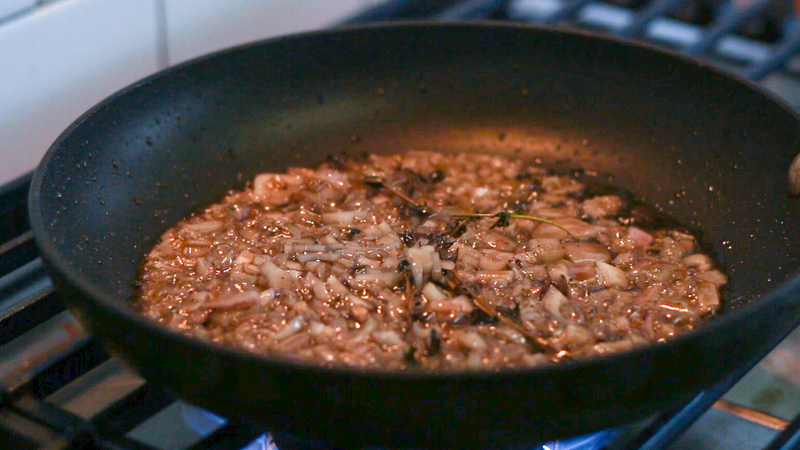 Discard butter, oil, and thyme and add two tablespoons of fresh butter to the pan over medium heat. 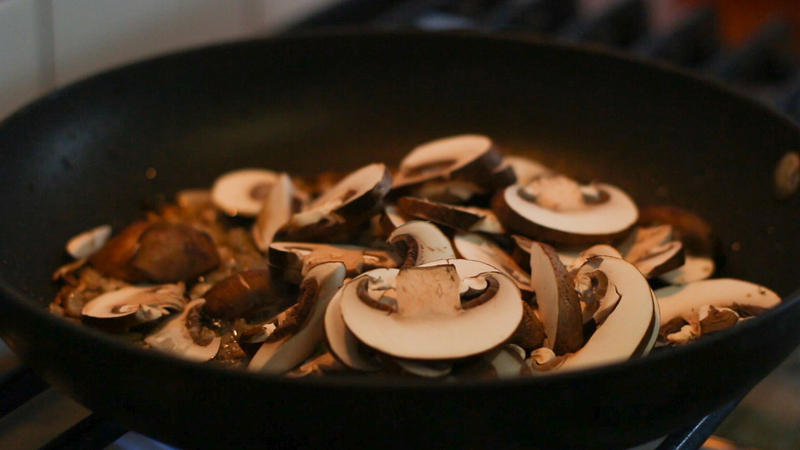 Add shallots and mushrooms and saute until tender, about five minutes. Deglaze pan with Cognac (stand back if you want to keep your eyebrows) and add mustard, Worcestershire, beef stock, and reserved cooking liquid from the bag, as well as whatever has accumulated on plate holding cooked steaks. 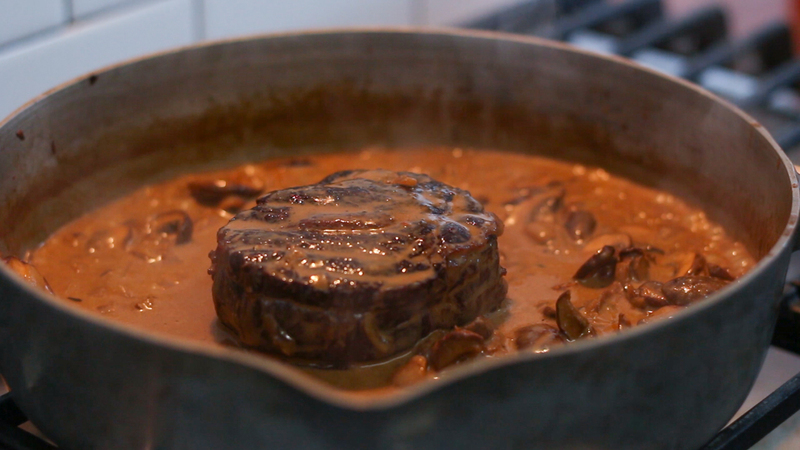 To finish, remove pan from the heat and add steaks to the sauce, coating both sides and letting sit for about a minute to bring them back to temperature. 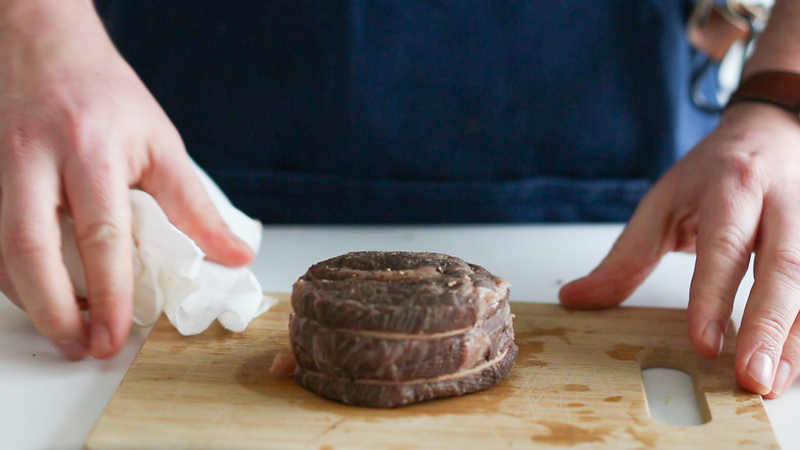 Alternatively, you can slice the steaks individually and top immediately with the warm sauce. Garnish with minced chives.